For photographers, the idea of starting a blog on your website can feel a little daunting. After all, you choose to work with images, not words, right? But if you can overcome that hurdle and learn to enjoy writing, then your website, your business and even your creative eye will benefit from it. When Brandon Stanton began the Humans of New York project about ten years ago, his goal was to photograph 10,000 New Yorkers from all five boroughs. For six months, he uploaded pictures, and people barely paid any attention. It was a labor of love. Until one day, he took a picture of a lady dressed in all green - a photo that he didn’t really like at all and wasn't going to upload until he remembered something that she had said. "I used to be a different color every day," she told Stanton. "But then one day I was green, and that was a good day. So now I've been green for 15 years." He posted her quote alongside the photo on his Facebook page. That simple creative leap, to combine some contexts and background, changed everything for Humans of New York. The likes on his post went from an average of 5-10 likes to 65 likes, and Humans of New York was off and running. Today, Humans of New York is one of the most popular sites on the Internet, with over 25 million followers on Facebook alone, and it has turned into a multi-million dollar business for Stanton. What he did is simple and effective blogging: combining text and images to tell a story. To connect with people. To share with people. However you imagine your blog looking, you should aim to create a compelling story for your audience so it builds a relationship that rewards both parties. Your blog needn't look like anyone else's blog. You don't need to deliver 1,000 word masterpieces if that's not your thing. Find what works for you, find what amplifies your voice, and schedule it into your work week. 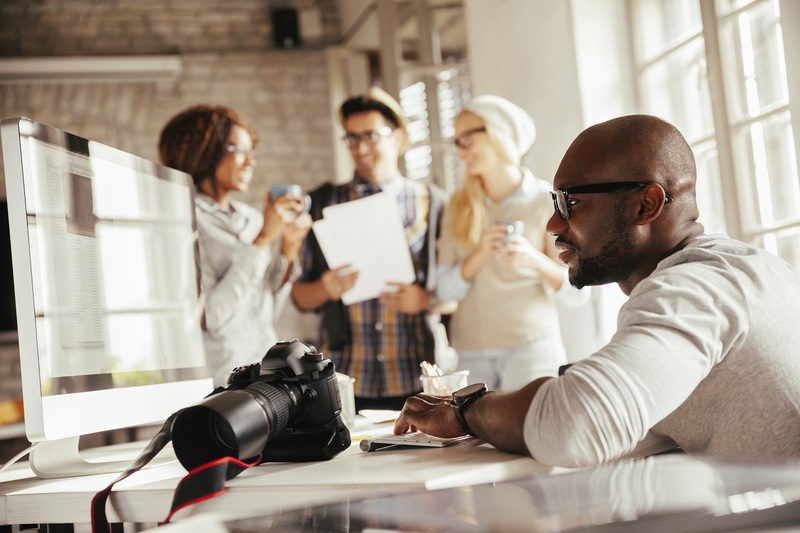 Starting a blog on your photography site is one of the most fulfilling and productive ways to grow your business and attract the kinds of clients you want through regular top-of-mind awareness. The digital economy offers a photographer a wealth of tools to present their brand and to streamline the behind-the-scene processes. Many of them are either free or cost very little. You can have the framework of a blog set up in minutes at no cost. The downside of that fact is that competition is stiff and you have to work harder than ever to nurture and develop an audience for your brand. Through the act of writing, you begin to find out things about yourself that you never knew. Just putting it out there is a cathartic experience. In so doing, you will also start to find out things that your audience likes and what they want to know more about. Using that information, you can start offering new services and developing other revenue streams that you may not otherwise have discovered. Are you an expert on 'Bringing Boudoir Into Your Studio' shoots? Or perhaps you recently had a disaster that led you to become an expert at backing up your files? Find a niche where you’re comfortable and write about it. That’s the way to get noticed. That niche could lead to you offering a MasterClass or leading a tour to a location - however you choose to monetize your new, blogged-about expertise. Chances are that most of the content on your website is static. You probably don’t change photographs that often. That’s why writing a blog is a chance to keep bringing readers back to your site to see your work and to keep your name on their lips. By blogging, you’re generating fresh traffic and pulling people towards your site in ways that you can control and nurture. Always include a call to action in your blog posts. Make it easy for people to visit you and get in touch. Offer them giveaways or exclusive behind-the-scenes access that incentivizes them. When you’re starting your blog, you should really think about what it is that attracts you to what you do. What’s the aspect of photography that inspires you and others? When you write about what you love, your sense of passion will be infectious, and you’ll become known for it. If you’re good, you can become an authority in that area and doors may open to many new opportunities. Conferences, seminars, guest blogs, exhibitions…all ways for you to grow your business and generate income. There are so many solid marketing and business reasons for starting a blog in whatever shape or form you can manage. It’s also a smart decision to take from a creative viewpoint. Writing down your thoughts, feelings and opinions forces you to really examine your thoughts, feelings and opinions. It builds self-awareness and lets your audience get to know the real you. We haven't touched on all the SEO benefits that a blog will deliver for your site. They are huge, but they are not the reason make it happen. If you don't find some way of making it worthwhile to you, then pure SEO is unlikely to keep you doing it over the long haul. Starting a blog and updating it regularly is hard to do. It requires you to dig really deep and to commit to the path you have chosen. But the fact that it's hard also means that it's easier to stand out than on social media, where the barriers to entry are so low. A blog makes your website stand out, and a great blog puts you at the top of the list. If you're looking for more tips on how to better brand, market, and sell your services, make sure to check out the exclusive sales and marketing tools offered to you by PPA. Not yet a member of PPA? Then check out ALL the benefits that come along with a new membership today.